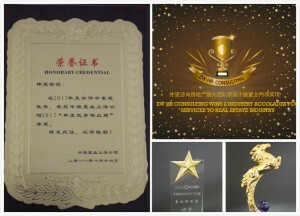 Leader in mid-senior level recruitment, ZW HR Consulting has been recognised for its service to the Real Estate Industry by China leading property group “SCE Property Holdings Limited”. The event, which took place at the SCE Nanjing and Shanghai Office. China SCE Property Holdings Limited is the subsidiary of China SCE Group, which is a comprehensive group in China.30 years of development, the Company has been well equipped with greater capacities to develop and manage properties. The Company’s properties are distributed in many cities, including Beijing, Shanghai, Tianjin, Shenzhen, Hangzhou, Nanjing, Suzhou, Xiamen, Nanchang, which are mainly residential housing, including high-rise residential buildings, low-rise apartments, villas, commercial facilities and office buildings. In 2016, the Company was consecutively awarded as one of the “Top 50 Real Estate Developers of China”. ZW HR Consulting has a market leading Real Estate team who shape the industry by providing an unrivalled first class service to their clients and candidates. 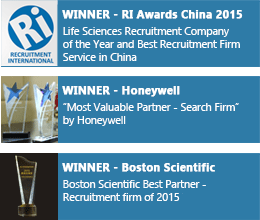 Our team is made up of a talented group of consultants who have a blend of industry and recruitment experience making true specialists in their field. We provide an unparalleled service to our clients and candidates, sourcing roles for individuals at all levels from mid to senior across the real estate sector.